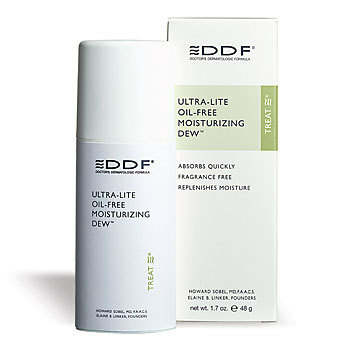 Ultra Lite Oil Free Moisturizing Dew - All skin types including oily and acne prone. Aloe Vera based and fortified with potent antioxidants A,C,E and grapeseed extract. Free of oil, lanolin, propylene glycol, and fragrance. Contains no color additives. Helps retain and prevent moisture loss.